With all the incredible places you’ll be travelling to on your cruise, it’s tempting to think that the onboard entertainment your ship has on offer might be overshadowed. Rest assured however, that the fun and games from day to night are far from second fiddle. Delighting audiences with all manner of cabaret-style shows, stand-up comedy sets, and musical performances night after night, cruise entertainment is an undoubted highlight for many guests. That’s why we’ve asked our favourite cruise bloggers to tell us about the best onboard entertainment they’ve experienced during their time at sea. From exhilarating acrobatic shows to Broadway-standard musicals, these first-hand accounts show just how dazzling cruise entertainment can be. When it comes to onboard entertainment, the choice is so varied as Emrys Thakkar of Cruise Hive reveals, sometimes it’s the curveballs that are the ones that stick in the memory. “After working on Carnival cruise ships for over 8 years I’ve come across all kinds of entertainment shows but there has been one kind which I enjoyed the most. Much like Emrys, experiencing something new for the first time made a lasting impact on Emma Le Teace of Cruising Isn’t Just for Old People. Cruise entertainment often exceeds expectations, and the same can be said of Emma’s experience. She says: “The best entertainment that I have ever seen at sea (or on land) has to be Priscilla Queen of the Desert onboard the Norwegian Epic. I had never seen the film/heard of the musical before so went along to the show not knowing what to expect. I’ve always been a fan of musicals and it was such a positive, colourful, fun production that I actually went back the next night to see it again. “Both evenings I came out of the show with a huge smile on my face. When I got back from the cruise I booked to see the musical again on land and, to be honest, it was much better onboard the Norwegian Epic”. For those who might be sceptical about things getting a little samey during their time at sea, then fret not, Jo Castro – of Lifestyle Fifty – spent 104 nights at sea and things never got old! Regarding the variety, Jo says “We loved Sea Princess’ entertainment when we were travelling on a world cruise. For the most part, there was nearly always something or someone to entertain us either after dinner or through the day too. We could choose from comedians to speed painters, tribute shows to opera, and fantastic floor shows with accomplished dancers and cabaret artistes. 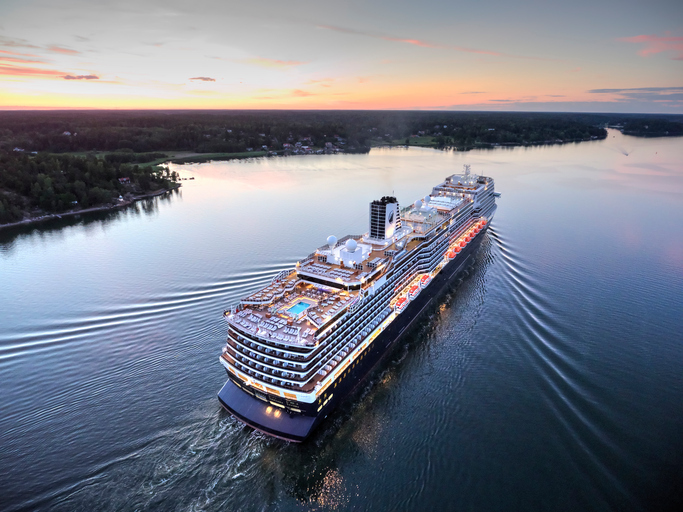 Unsurprisingly, the bigger ships are festooned with a plethora of entertainment, featuring both state-of-the-art and world-class attractions that mean there’s never a dull moment onboard. For Don Bucolo of Eat, Sleep, Cruise, his favourite vessels are Royal Caribbean International’s Oasis Class ships. Don says: “These mega ships offer a variety of different venues that you can’t find on any other vessels. With several ships in the class, Allure of the Seas tops our list for having the best line-up. So, as you can well see, there’s a lot to keep all the family happy, however long your cruise. Looking to start your at-sea adventure? You’re in the right place! Head over to our homepage to view the best cruise holidays for less right here, or give our friendly customer care team a call on 1300 803 734.